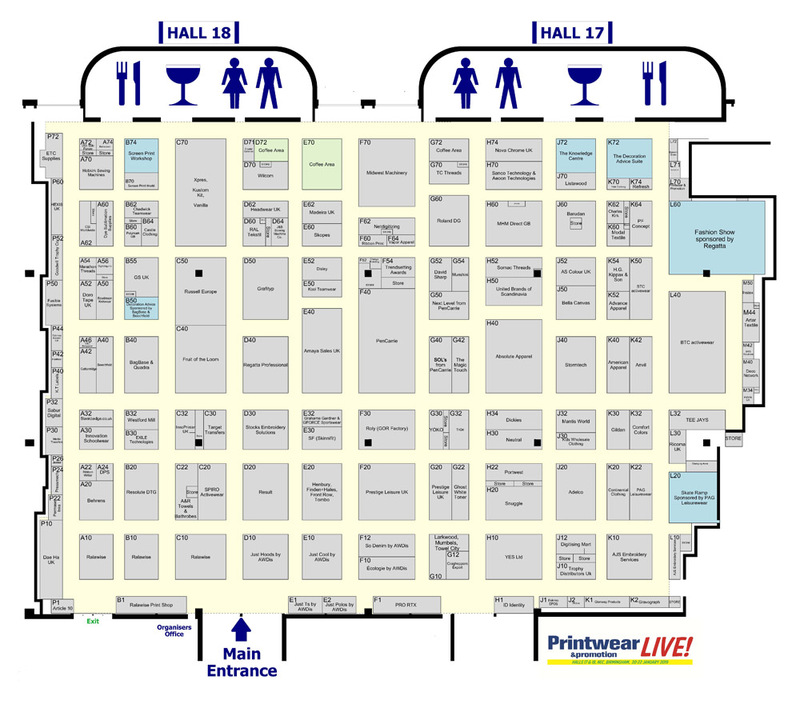 Show Features - Printwear & Promotion LIVE! : Printwear & Promotion LIVE! At Printwear & Promotion LIVE! 2019 visitors will be able to make the most of the educational and lively feature areas on offer. These include the popular fashion show sponsored by Regatta Professional, which takes place three times day. The fashion show gives visitors the chance to see some of the key styles featured in the 2019 supplier catalogues. There will also be an all new line-up of speakers and topics across two seminar suites – The Decoration Advice Suite and The Knowledge Centre. The seminar programme is an excellent source of free inspiration, advice and education, with every area of printwear production covered. The Bag & Headwear Decoration Advice stand sponsored by BagBase and Beechfield Original Headwear is also back by popular demand. Visit the experts to discover a range of innovative design features that ensure the quick, easy and profitable decoration of products. Both novice and expert screen printers should pay a visitor to the Screen Print Workshop. Seminars and live demonstrations will be held throughout the three days of Printwear & Promotion LIVE! on a range of interesting and exciting topics. And finally, a new introduction to the 2019 exhibition – a Skate Ramp! Visitors will be able to see skate boarders and BMX riders performing stunts while showcasing the latest printwear styles from brands available through PAG Leisurewear throughout the three days of Printwear & Promotion LIVE! If you would like to receive our regular e-newsletter update please CLICK HERE.